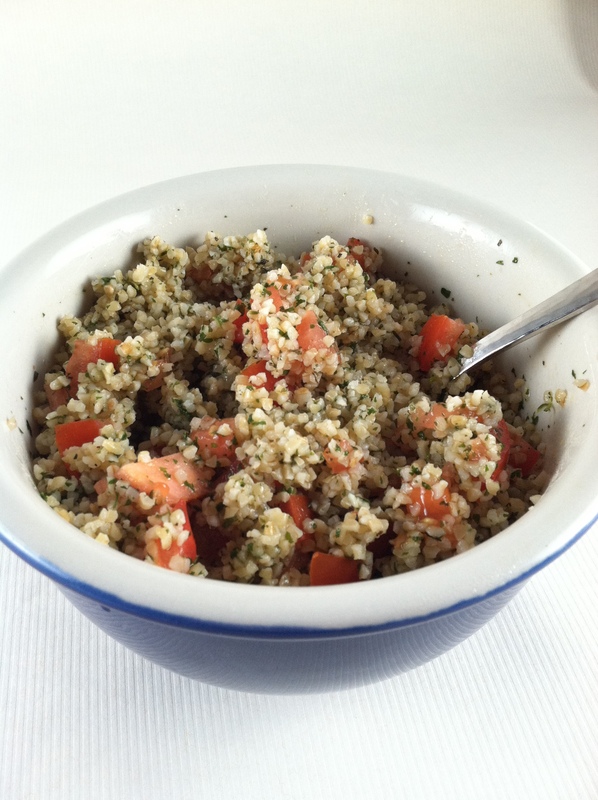 Tabouli, Taboule or Tabbouleh, is all the same. It is time to get to know this terrific and tasty side dish. Taboule is a middle eastern dish that has become part of the American diet. Just as Chinese foods became Americanized, so have middle eastern foods. So to call a particular taboule recipe an authentic middle eastern dish is not exactly accurate. There are regional differences – some use more parsley, some add cucumber and feta cheese. Then there are the non-traditional taboule salads that can have apples an walnuts in them or made with quinoa rather than bulgur. 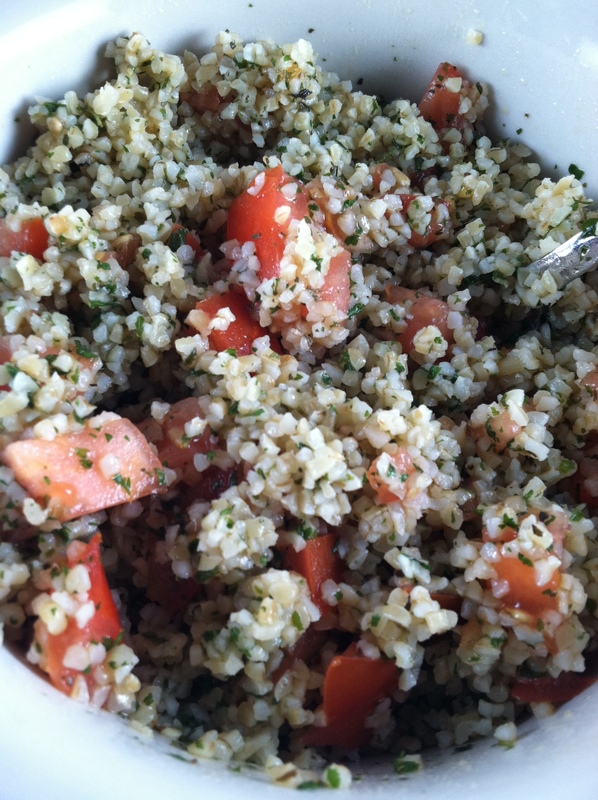 My favorite version is simple with bulgur, parsley, tomato, olive oil, mint and lemon juice. Sometimes I’ll make a batch and sit down and eat an entire bowl. I love how this dish makes you feel like you are really doing something good for your body. Serve taboule as a cold side dish. This recipe for taboule has a nice balance of traditional flavors. Place bulgur in a bowl and pour the boiling water over it. Soak bulgur in water for 30 minutes. The wheat should have absorbed all of the water. If there is any water left, drain and squeeze out as much water as possible. Taste and adjust the various ingredients to your taste. More olive oil? More lemon juice? Just be careful not to make the salad too wet. Instead of adding more salt, consider adding feta cheese crumbles. This entry was posted in Recipes and tagged Bulgur, Feta, Middle East, Olive oil, Onion, Parsley, tabbouleh, taboule, tabouli. Bookmark the permalink. mmmm…. really yummie. with what would you serve this, preferably? I LOVE this along side of grilled chicken or even with lamb or beef. I have never re-posted because I too, don’t know how. Can anyone tell us how to re-post?